Narcotics officer Cal Moore's orders were to look into the city's latest drug killing. Instead, he ends up in a motel room with a fatal bullet wound to the head and a suicide note stuffed in his back pocket. 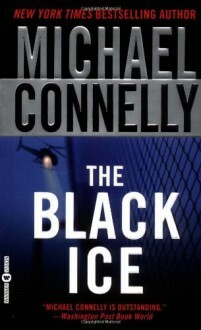 Working the case, LAPD detective Harry Bosch is reminded of the primal police rule he learned long ago: Don't look for the facts, but the glue that holds them together. Soon Harry's making some very dangerous connections, starting with a dead cop and leading to a bloody string of murders that wind from Hollywood Boulevard to the back alleys south of the border. Now this battle-scarred veteran will find himself in the center of a complex and deadly game-one in which he may be the next and likeliest victim. http://pagefault.booklikes.com bookaneer 4.0 "You don’t like what you see out your window, you put up a wall." text "You don’t like what you see out your window, you put up a wall."